If you have been arrested for drug manufacturing do not wait to contact a lawyer! Many of these arrests occur after police have made an illegal search and seizure. Our drug lawyers can start working on your case immediately, and we will fight to have your charges dropped or reduced. Drug manufacturing in Maryland is an example of a crime that is becoming more common in response to the increased popularity of homemade drugs. This crime has evolved as certain drugs have become easier and cheaper to manufacture, but some drugs are appearing less frequently in drug manufacturing cases. Marijuana is an example of a drug that is becoming less common as the source of a drug manufacturing charge in states where marijuana possession has been decriminalized, but is still common in Maryland. As more states begin to enact medical marijuana policies, it will become less profitable to maintain marijuana grow houses, and just as risky. For the time being, manufacturing marijuana is still a common charge, and typically occurs when police find a large quantity of marijuana plants while executing a search warrant, or an arrest warrant. Manufacturing marijuana arrests usually take place at a person’s home, and therefore a criminal lawyer may be able to file certain motions to suppress or motions to dismiss a manufacturing charge in Maryland circuit court. 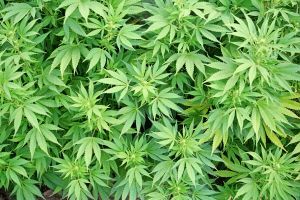 There are also cases where defendants have been charged with distributing marijuana when the amount of plants seized merely indicates an amount for personal use. Again, this may be an issue that a criminal lawyer can argue at trial or at various pre-trial motions. In the future, there will likely be less marijuana manufacturing cases, but that certainly does not mean the total number of cases is on the decline. Methamphetamine or meth went through a brief decline in 2007 and 2008 after the federal government made it harder to obtain pseudoephedrine, but over the last few years meth use has been on the rise again. Manufacturing of methamphetamine cases have skyrocketed around the entire country, and are becoming more common in Maryland. Methamphetamine or meth is without a doubt the most common homemade drug due to the fact that it is cheap and relatively easy to produce, and it is highly profitable. Meth lab cases have been frequently appearing in the local and national news, and in some cases the meth labs are only discovered after a fire or deadly explosion. There are also cases where homeowners or roommates of people who are manufacturing meth have no idea that their home has become a meth lab. Maryland police officers have become more alert and educated about meth production, and more resources have been dedicated to busting up meth labs, which results in more meth lab cases ending up in court. The penalties for manufacturing meth or any drug can be extremely harsh in Maryland, and may include minimum mandatory jail sentences for second offenses. The drug lawyers at The Herbst Firm handle all types of meth cases including manufacturing, distribution, and possession of meth. If you or someone you know has been charged or is being investigated for drug manufacturing contact Benjamin Herbst for a free consultation.